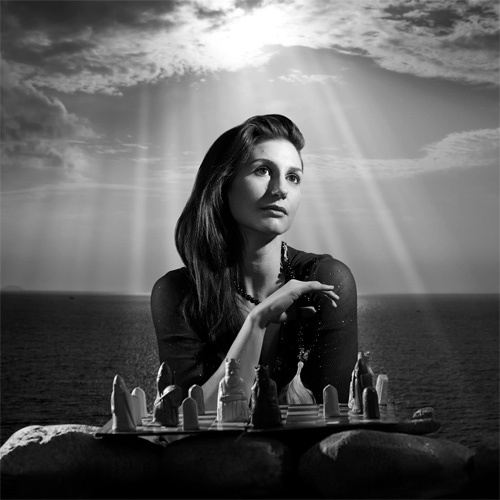 Shakespeare’s The Tempest is set in new surroundings in this performance of vocalist and composer Clara Sanabras’s new album A Hum About Mine Ears. More than a simple soundtrack to the play, A Hum About Mine Ears takes some of The Tempest’s ideas and themes – loss and retrieval, exile and reunion, relating them to Sanabras’s own experiences as modern woman and an emigrant. While some songs lift direct passages from the play, others place the characters in more modern settings – Sanabras’s powerful delivery casting Ariel as a festival-crazed free-loving spirit, or Miranda as an independent woman, emancipated from Prospero. Drawing on elements from blues and jazz to European folk, this one of Shakespeare’s most famous works unravelled in a performance as deep, mysterious and expansive as The Tempest itself. Featuring Britten Sinfonia, Chorus of Dissent, London Voices, Nigel Kennedy, Lisa Knapp, Harvey & The Wallbangers.